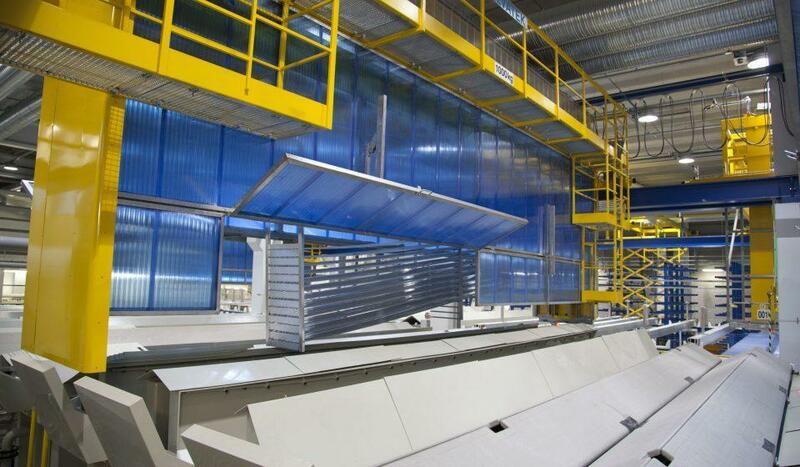 Galvatek supplies automated anodizing systems mainly to the aviation and aluminium industries. 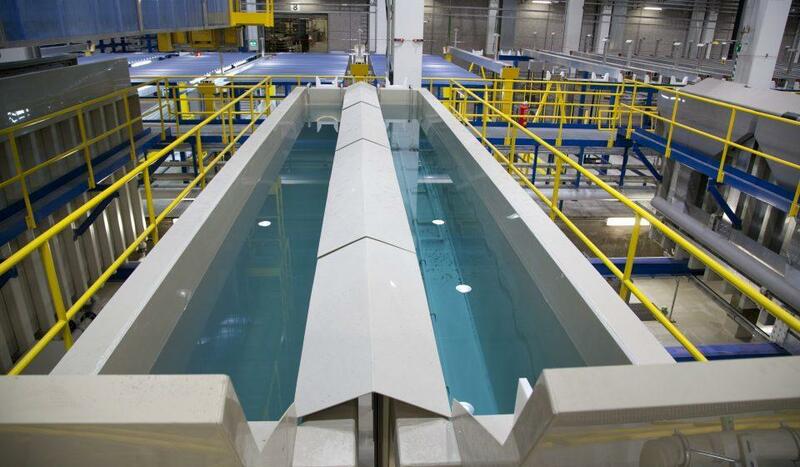 In the aviation industry, automated aluminium surface treatment plants are used for the chemical treatment of challenging aircraft parts and frame components. Aluminium anodizing plants can also be combined with etching, cleaning and non-destructive testing (NDT) processes. In the aluminium industry, the process often also includes electro-coloring for the production of aluminium profiles and components. Galvatek’s anodising plants for the aviation industry are mainly used for high-grade aircraft parts, aerostructures and other aluminium components. 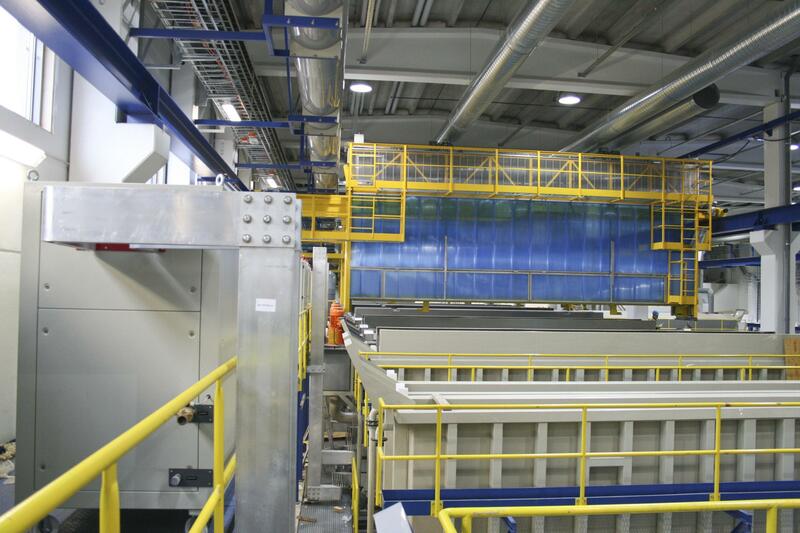 Anodizing plants for the aluminium industry are typically designed for the high-capacity anodizing of profiles. Anodizing is an electrolytic passivation process that is used to increase the thickness of the natural oxide layer on the surface of metal parts. Aluminium alloys are anodized to increase corrosion resistance and surface hardness, as well as to allow dyeing (colouring), improved lubrication, or improved adhesion. Different anodizing processes include chromic acid anodizing (CAA), sulphuric acid anodizing (SAA), boric sulphuric acid anodizing (BSAA), tartaric sulphuric acid anodizing (TSAA) and phosphoric acid anodizing (PAA), all of which are made possible by Galvatek anodizing plants. 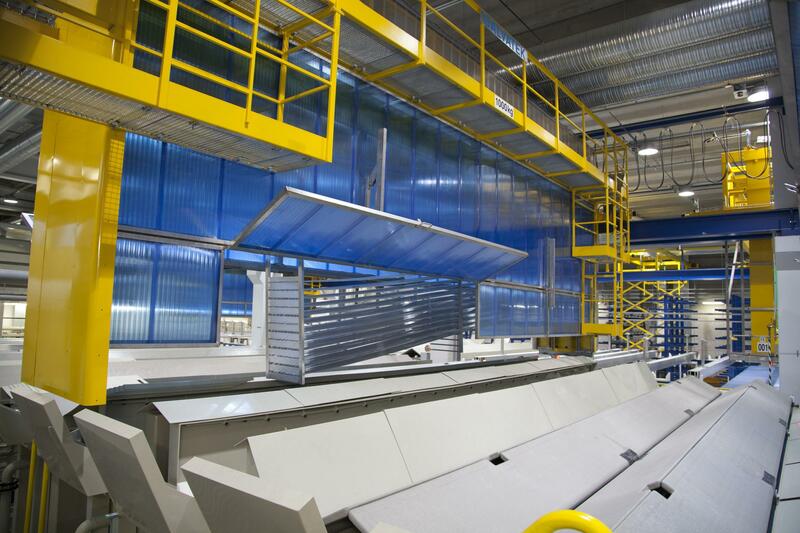 Automated anodizing line for extruded aluminum profiles. Plant includes ventilated transporters with tilting capability. A typical view to automated anodizing process and rectifiers. Aluminum anodizing plant with cascade rinse steps which saves water usage and improves rinsing result. 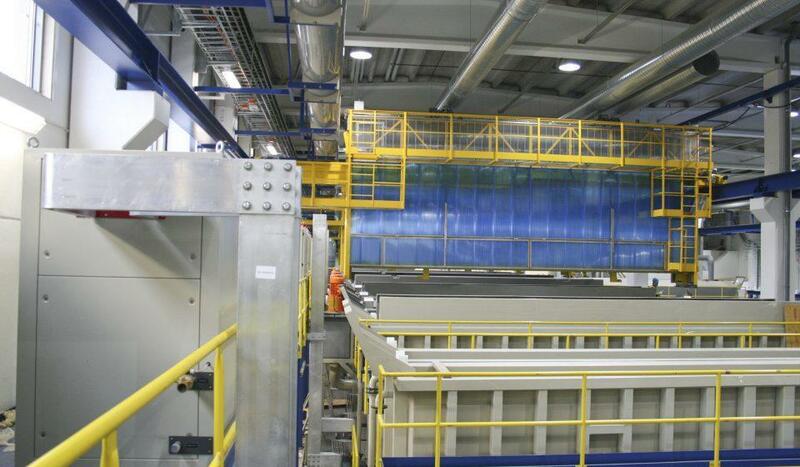 Galvatek aluminium finishing plants are typically fully automated turnkey deliveries that utilise our latest technologies in ventilation, multiple loading/unloading stations, and energy-efficient solutions. Our state-of-the-art Galcont control system ensures extremely accurate film thicknesses. 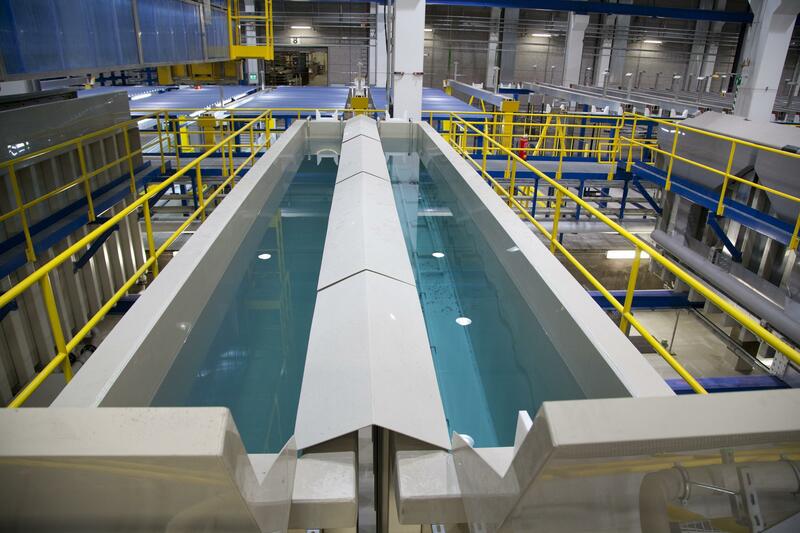 Anodizing tanks are typically supplemented by degreasing, rinsing, etching, desmut, and hot sealing, as well as electro coloring tanks/stations. Galcont control system also constantly records individual treatment and alarm history, which helps our customers in ther anodizing process certification, such as NADCAP approval used in the aviation industry. Galvatek anodizing plants are always scaled and designed according to the needs of the customer and the maximum product dimensions in the treatment process. Galvatek has delivered tanks up to 15 meters in length, especially for aerostructure applications. Typically the tank length is 9 meters or less for aluminium profiles or other anodized aluminium components. Tartaric sulphuric acid (TSA) anodizing provides excellent corrosion protection and paint bonding properties for a wide range of aluminium alloys. TSA anodizing can be used to replace the use of hexavalent chromium in chromic acid anodizing (CAA) processes. TSA anodizing is an approved method that complies with European Union REACH legislation. Further information about TSA anodizing is available on the Airbus website. In recent years Galvatek has been active in several new TSA plant projects, as well as in upgrading our installed base to TSA.